In the inclusion and more reliable ways to fix bugs and lags, Apple has come up with a new update for Safari Technology Preview. 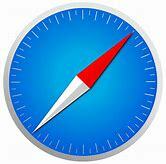 The experimental Safari Technology browser which was first introduced a year ago in between March of 2016. According to Apple the Safari Technology Preview is designed to test features that may be introduced into subsequent release versions of Safari. Safari Technology Preview release 47 is to have some features that will support bug fixes and also features improvements with an experimental implementation of the Storage Access API, updates to Service Workers, and improvements to Media, Rendering, Web Inspector, and the Clipboard API. Further more the Safari we are about to experience from today will support update which includes mitigations for the Spectre hardware vulnerability that impacts Apple’s Macs. Spectre fixes were previously added to the release version of Safari with the release of a supplemental update macOS High Sierra 10.13.2. Enabled the Canvas Tab by default. Improved open time performance when enumerating system fonts. Fixed Command-Option-R (⌘⌥R) in the docked inspector causing Web Inspector to reload instead of the inspected page. Fixed the URL filter in the Network Tab to be case-insensitive like filter bars in other tabs. Fixed mis-sized waterfall graphs in the Network Tab after closing the detail view. Redesigned the waterfall popover showing timing data in the Network Tab table. Updated the Time column in the Network Tab table to include the total duration not just the download duration. Added an inline swatch for CSS variables in the Styles sidebar. Added support for typing a semicolon at the end of a value to move to the next property in the Styles sidebar. Enabled Command-S (⌘S) to save changes in the matching CSS resource in the Styles sidebar. Fixed selecting text in the Styles sidebar to not add new properties. Implemented clicking above the selector to prepend a new property in the Styles sidebar. Apple’s aim with Safari Technology Preview is to gather feedback from developers and users on its browser development process. Safari Technology Preview can run side-by-side with the existing Safari browser and while designed for developers, it does not require a developer account to download. How to Upgrade to Apple iOS 11.2.5 beta 6. ← Indoor Dome Spy Cameras.